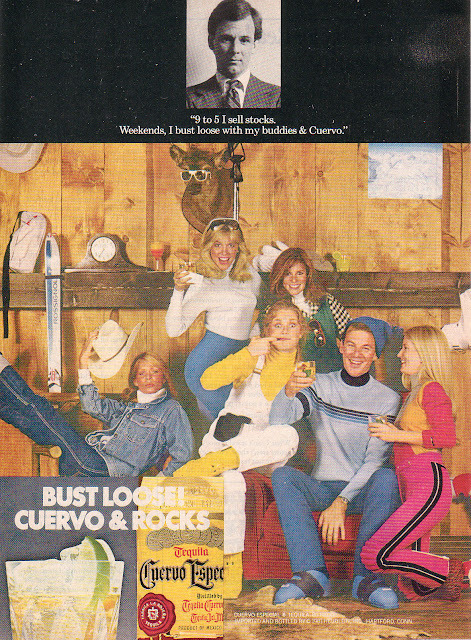 Looking at this ad you can sure tell just how close we are to the 70s. Fashions of the day were… especially unfashionable. Note the all-denim on the left and the sea of spandex and generally stretchy stuff everywhere else. The moose, however, is ludicrously fashionable in those spiffy sunglasses. We are intended to believe, I presume, that these motley-dressed people are professionals of some sort. I’m certainly hopeful that I never become unlucky enough to invest with someone who has such poor taste in clothing.